Stuff, Things, etc. 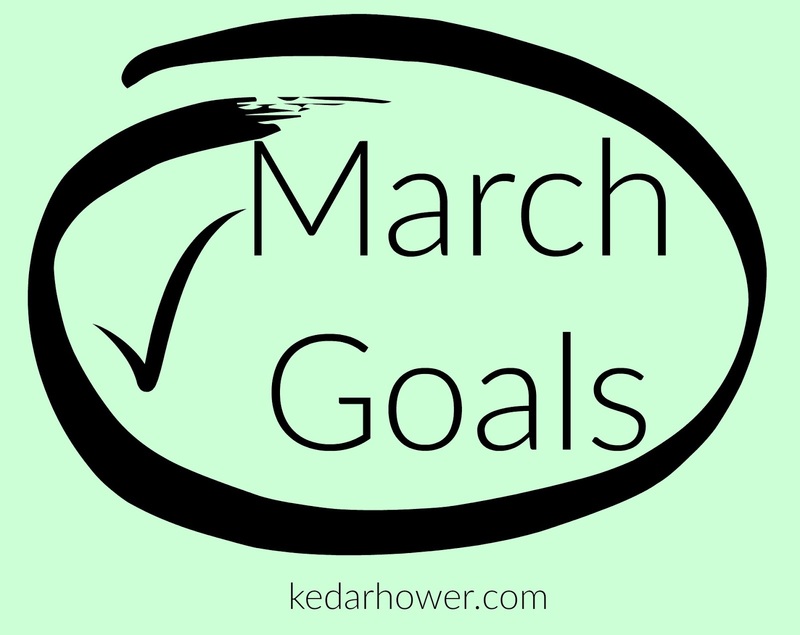 : February Recap and March Goals. February Recap and March Goals. Looking back at what I wanted to do in January/February, I feel okay about things. This is an odd time of year I guess, so there wasn't a lot of accomplishment in general. It was more just doing what needs to be done. Lots of army stuff, lots of schoolwork, lots of maintaining. 1. Have I finished all of the Star Wars movies? No. I haven't. I need to finish Return of the Jedi and then I need to get The Force Awakens. 2. Do I practice chess? Yeah, I do most days. I don't think I'm actually getting better though. 3. Have I read 50 pages of a book every day? EFF NO. But I have been reading a lot. Keeping track of pages is overrated. That was just something I put in place because I had a few hardcovers I was desperately trying to get through. In March, we have spring break (plans still undecided), so maybe I'll have a chance to slow down? Maybe. That week off for Thanksgiving and that week off in the spring never give me enough time to catch up. Christmas always gives the perfect amount of time to catch up and relax at the same time. 1. Get all winter/Christmas decor stowed away in the shed. Find a few new springy house decor items. Fun fact: I hate spring. Which is why I never buy spring/summer decorations. I don't even try to make sense of this in my head anymore. 2. Design/order bridal shower invitations for future SIL. Indeed. 3. Mail birthday gifts for March on time this year. There are 3 family members with March birthdays. Must prioritize this. 4. Complete the Warrior Dog Dash 5K on base this month. With the dogs. 5. Complete the 21 Days of Pilates. The challenge kicks off on March 6th. It's FREE! 6. Read at least 6 books. I'm at 6 for January and February, so I need to keep the momentum going. Alright, that's enough for now. No need to over-achieve. What about you? Any springtime goals? Great goals!! Yay, spring is coming :) I signed up for the pilates challenge!! I'm averaging about 5 pages a day before I fall to sleep. I'm slowing down! I just subbed yesterday at an elementary school where they came in and gave the students a chess lesson. #1 so cool! and #2 I still don't understand. Good luck to you though :) It will be fun to have that knowledge and improve. Good goals, girl! The 21 days of Pilates sounds good. Might need to give it a look! Oh and read more...I hope spring break is going to allow me to do that! Ugh you just reminded me that I need to work on a birthday gift for my MIL. Crap. Haha. I need to work on my spring goals. I'm not doing goals this year but focusing on habit changes. My March habit change is reducing decision fatigue when it comes to makeup. I agree that keeping track of "pages read" is too difficult. You reminded me of the 2 March birthdays that I need to get taken care of.